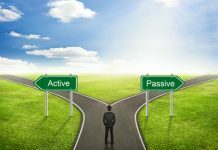 Information asymmetry, climate investing and the active management edge. The theory of efficient markets says all stock prices are perpetually accurate, because investors always have complete and up-to-date information about their holdings. But as any casual observer knows, information and topical awareness are not evenly distributed, even among professional analysts. Reality is always far more complicated than equity markets can quickly assimilate, meaning information asymmetry is a constant. While usually considered a type of market failure, information asymmetry is frequently used as a “source of competitive advantage.” The person with the most information is best equipped to make the best investment decision. So what information, currently overlooked in financial markets, can be exploited for long-term gains? One area of unequally shared data hiding in plain sight is climate and environmental information. Hiding in plain sight. 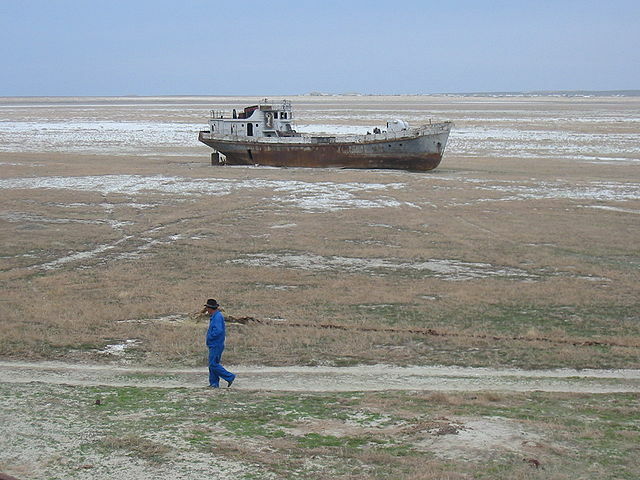 An orphaned ship left by the retreat of former Aral Sea, near Aral, Kazakhstan. In their white paper “The Good Thing About Climate Change: Opportunities,” Lucas White and Jeremy Grantham write: “Current growth projections are likely to dramatically understate realized growth as the world continues to mobilize to address climate change and costs continue to fall for clean-energy solutions … the climate change sector is likely to be a particularly inefficient sector and a disciplined value orientation will be key to harvesting strong returns.” The climate change sector is “particularly inefficient” because of the huge information gap. One reason asymmetric climate knowledge exists is what might be kindly termed “misinformation.” A 2017 Harvard study, for example, confirmed previous findings that Exxon Mobil Corp. deliberately misled the public about human-caused climate change. Exxon Mobil’s own internal research included commentary affirming the effects of human-caused climate change, while its advertorials (editorial-style advertisements) expressed doubt. These efforts have been serious enough that the attorneys general of Massachusetts and New York are investigating whether the oil giant misled investors about climate change risks. Information asymmetry also results from understatements about the speed with which change is occurring, in terms of both the climate itself and climate-mitigating technologies. It’s no coincidence that three of the world’s largest solar photovoltaic manufacturers have been taken private or have planned to go private in the past year, since their share prices were demonstrably undervalued relative to their fundamentals. They are simply buying back their shares at low prices. These companies are taking advantage of the asymmetry. For investors, bridging the asymmetry gap also depends on reactions to information. Take the evolving automotive industry, for example. According to Navigant Research, India — the third-most polluting and second-most populous country in the world — will sell only electric cars by 2030 as part of larger climate goals under the Paris Agreement. France and the U.K. have announced bans on the sale of internal combustion engines by 2040. China has announced a ban, but with no definite date. These clear trends hiding in plain sight mean big dents in future oil demand, while the value chains of renewable energies and zero-emissions transportation are poised to take off. How should investors react? They should leave behind the industries of yesterday and follow signs of growth. Electric vehicle demand is increasing, electric and autonomous vehicle technology is rapidly improving and becoming much cheaper, and storage technology and infrastructure systems are growing. India and China’s regulatory tailwinds might just expedite the transition. By triangulating facts from a wider range of angles — scientific, technological, economic, political — investors can hone in on opportunities. 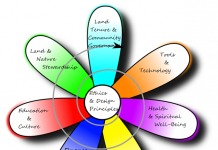 And these opportunities largely begin with assimilation of climate science. Investors don’t need to rely on policy models alone to make judgments about climate change. These trends are unfolding worldwide, and they’re happening now. David Roberts, who writes about energy and climate change for Vox, notes that broad averages often conceal “leading wedge markets,” regionally specific markets where an industry scales up faster and drives down costs in other markets. Analysts who only examine a broad, national statistic like “levelized cost of energy” might miss the boat if they take such estimates at face value. Not only can major systemic change cause differing levels of information awareness, but the rapidity of that change can create knowledge discrepancies as well. Examining the details remains important. Another place where change data is lacking is in some analysts’ exclusive focus on quarterly reporting. This is true with investing in general, but it is especially relevant to climate change information asymmetry. As climate change mitigation becomes more important and a larger part of the global economy over time, investment opportunities will be revealed. For example, solar power is projected to grow to 50% of the world’s electricity generation by 2050 from 1% in 2015. Taking a longer-term view could empower investors to invest now in companies positioned as global leaders of tomorrow and reap the benefits as they grow. 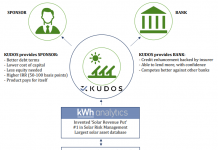 Why then aren’t more investors integrating climate information asymmetry into their portfolios? It’s not easy. Many investors, being time and attention constrained, find it convenient to rely on other analysts’ coverage of a stock or simply look at a rating or estimate rather than conduct their own research or begin from fundamentals. While understandable for average investors, this can result in an opportunity lost at best, and mismanagement of risk at worst, for portfolio managers. As long as there is differing awareness, understanding and application of available information, there will be inefficient markets to exploit for returns. Many scarcely believe that. We’ve lived under the shadow of efficient markets theory and indexing for so long that we’ve forgotten what full sunlight might look like, and we’ve forgotten that it’s possible to take advantage of inefficient markets. The person with the most information is most well equipped to make the best investment decision; so how can it be less advantageous to work from a unified theory of the totality of economics? Increasingly, given the pace of technological advancement and the daunting scale of globally systemic risks, forward economics looks like what Messrs. White and Grantham call the “climate change sector,” and what we call Next Economics. This is where investment opportunity can be found, even if — and especially because — not everyone gets it. This post was originally published by Pensions & Investments. Garvin Jabusch is co-founder and chief investment officer of Green Alpha Advisors. Green Alpha portfolios do not have any positions, long or short, in Exxon Mobil. For more information, please visit https://greenalphaadvisors.com/about-us/legal-disclaimers/.